Every industry should push its boundaries – we at NES are firm believers in that and it is a part of our corporate DNA. NES understand that Pharmaceutical and Medical applications often require demanding sealing solutions that are able to offer compliance to a variety of industry standards, temperature capability and chemical resistance. 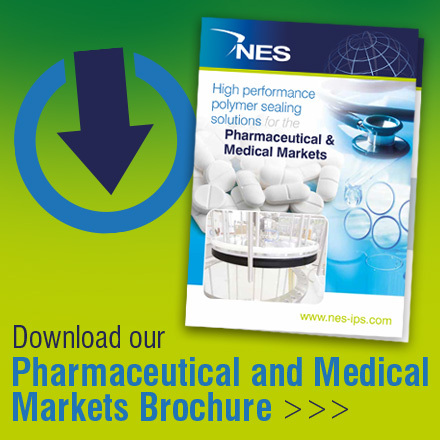 NES offers a comprehensive range of high performance sealing materials and solutions, optimised for demanding and performance-critical applications within the Pharmaceutical and Life Science Industry. From standard off-the-shelf encapsulated seals through to engineered, bespoke inflatable and moulding solutions, NES deliver on time and on budget, be it for one-off or volume quantities. NES also provides a comprehensive range of services designed to assist with material selection, materials testing and failure analysis.